Our skin says a lot about our general health and wellbeing, as well as telling tales about our age. If we maintain a regular skincare routine, avoid too much UV light, eat well and drink plenty of water, our skin can benefit hugely. However, no matter how healthy our regime, the skin can show a variety of imperfections, such as congestion, spots and acne, fine lines and wrinkles, dryness and dehydration, a dull appearance and uneven texture. When we have done all that we can to keep our skin healthy but need a helping hand, The Spa at Bedford Lodge Hotel can offer a variety of non-surgical treatments to improve and maintain youthful and healthy-looking skin. Medical Microdermabrasion is a highly-effective, device-led treatment which can treat a wide-range of skin concerns and is offered here at The Spa at Bedford Lodge Hotel. Using tiny crystals which gently exfoliate the skin and a gentle suction process, Microdermabrasion manually removes dead and dull skin cells as well as imperfections; revealing youthful and healthy skin and encouraging new cell turnover and improving oil regulation. Medical Microdermabrasion is one of our most popular treatments as it offers results that can be seen immediately as well as improving over a course of treatments, with no downtime or need for anaesthetic. Performed by our highly-qualified practitioners in our private and discreet treatment rooms, Medical Microdermabrasion can breathe new life to your skin. 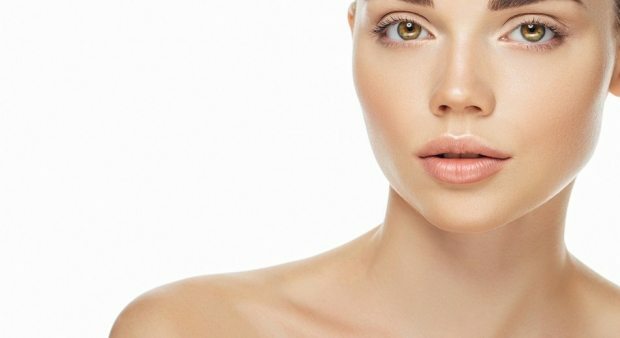 How do I know if I am suitable for Medical Microdermabrasion? Most people are suitable for Medical Microdermabrasion due to its versatility in the treatment of many skin conditions. However, prior to any non-surgical treatment here at The Spa at Bedford Lodge Hotel, we request that you attend a no-obligation consultation to determine your individual concerns and to ensure you are medically healthy. The procedure takes around 45 minutes for a full face. It may take slightly longer if the neck and / or Décolletage are treated. Medical Microdermabrasion does not hurt. In-fact, some people find it very relaxing. Results can be seen in as little as one treatment. However, for best results a course is recommended and this will be discussed in your pre-treatment consultation. How long do the effects of Medical Microdermabrasion last? With a prescribed course of treatment, the results of Medical Microdermabrasion can last several months. There is no downtime with Medical Microdermabrasion, you can return to your daily activities immediately following treatment. You will need to avoid sun exposure and wear a high SPF to protect your newly revealed, youthful skin. Our Spa is located in Newmarket, Suffolk and just a short drive from Cambridge and Bury St Edmunds. For more information on Medical Microdermabrasion and to arrange a consultation, please call us on 01638 676130.